Running out of filing cabinets and storerooms? Departmental library needs more room for periodical back issues and stakeholder reports? Special project team needs a place to hold its files? 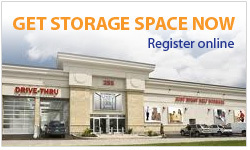 Many federal organizations are just around the corner from Just Right Self Storage. They can count on us for secure, climate-controlled storage knowing that we’re just a short ride away from Parliament Hill and most departmental headquarters in Ottawa and Gatineau. If you’re not ready yet to ship your records to the archives, consider us as your accessible alternative. We understand that government storage requires efficient and safe space saving storage systems in order to increase storage capacities and productivity. We have large storage units with available shelving that can reduce the need for additional office space to warehouse documents. Additionally, our climate controlled storage will protect items from mold and mildew. Furthermore, our centrally located self storage centre provides easy access to your items when you need them. We are only a short ride away from Parliament Hill and most of the departmental headquarters in Ottawa and Gatineau. 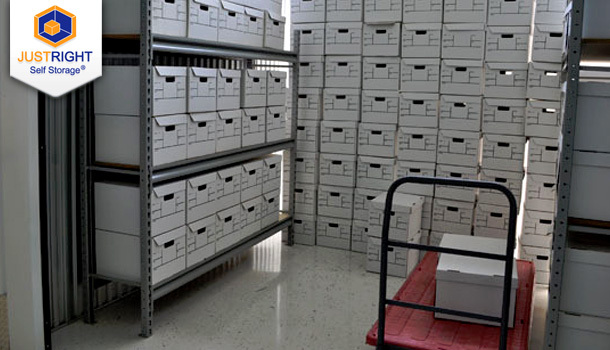 This provides a superior level of convenience as you can store your records safely in our secure storage facility until you are ready to ship them to the archives. Our self storage units are perfect for departmental libraries that need more space for periodical back issues and stakeholder reports as well as offices that are running out of filing cabinets and storerooms. Also if you have a special project team that requires a short-term or long-term place to store your files then we are the safe, convenient, and accessible alternative to acquiring more office space and storerooms to hold files and documents.